Susana Cor de Rosa for the last eighteen years, has had the privilege of helping thousands of people to heal themselves, to know who they are, and to have successful lives throughout Europe, the Americas, and Africa, through Unified Quantum Healing, Education, and Expanding Consciousness. She is a mentor, trainer, healer, corporate consultant and author and is known internationally for her energy work, love and joyfulness, healing capabilities and for interconnecting science, healing, education and spirituality in a practical manner, revolutionizing mentalities, raising and enhancing people’s energy. Susana was born in Lisbon on May 30 th, 1969 and for her, communicating, healing, intuiting and transforming weaknesses into strengths is like breathing. She graduated in Law, got a Post-Graduate degree in this field, and at the age of thirty she felt an inner calling to expand her consciousness – to teach, heal and re-educate human beings for happiness. She travelled the world and underwent training in various fields such as Quantum Physics, Shamanism, Alternative Therapies and Waldorf Pedagogy. For the last eighteen years, she has been the Mentor of Unified Quantum Healing in Portugal. She has given workshops nationally and internationally in the fields of Unified Quantum Healing, Healthy Relationships, Heal your vision, Confidence and others. Her innovative and dynamic teaching methods have been recognized nationally and internationally and are inspiring a growing number of people across the world. She awakens and encourages people to live their higher vision and use the sixteen senses we all have to make authentic, clear, healthy, successful decisions according to who you are. She teaches people to be intentional creators/co-creators instead of disorientated ones, empowering them to use their spiritual intelligence (combining reason and intuition) and act in the world with confidence. Inspired and convinced about her capabilities as a Unified Quantum Healer, she has successfully supported countless people in their transformation and growth with her healing methods. Healing (yourself) is to experience expansion, feeling whole and a profound connection with who you are, experiencing love, happiness and simplicity. Susana is also a personal and corporate consultant, for individuals and companies from various sectors, helping them to focus on their goals, to improve their efficacy, competencies, capacities and outcomes consistently, by acknowledging their power, worth, values, energy and responsibility in the world. Susana is regularly invited to television and radio shows to speak on topics such as Unified Quantum Healing, Personal Power, Spiritual Intelligence and other related topics, revolutionizing mentalities. She also writes for magazines about spirituality, healing, confidence and innovation. 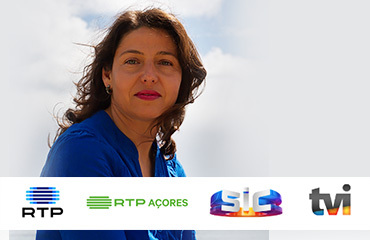 Susana is the creator of the five week guided meditation program, “ Infinite Force – The Energy of Change”, available in Portuguese and English at CDBaby, https://store.cdbaby.com/cd/susanacorderosa and here at the website. Susana’s most recent work is “The Land Where Everything is Possible”, an inspiring story about happiness, the power of dreams, energy and the meaning of life. From 8 to 98 years old. Recommended for adults, children friends and families… for those who Dare to Shine Brightly, Be Happy, and Fulfill their Mission.